Chroma 19036 is the industry's first Wound Component Electrical Safety Test (EST) Analyzer that combines the functions of impulse test, hipot, insulation resistance and DC resistance measurements. 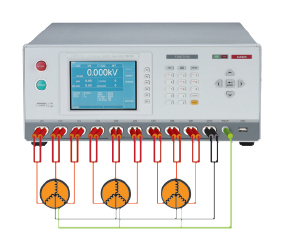 It has 5kVac/ 6kVdc high voltage output, 5kV insulation resistance, 6kV layer short impulse voltage and 4-wire DC resistance measurement that can comply with the wound components test demands by providing maximum 10 channels output for multichannel scanning tests to save time and labor costs. The test items for wound components include AC/ DC hipot test, IR test, IWT (Impulse Winding Test) and DCR (DC Resistance). Chroma integrates the above tests into 19036 Wound Component EST Analyzer that can perform safety tests on wound components like motors, transformers and solenoid valves to verify their quality. Poor insulation of coil often causes layer short, cross-line short or pin short during usage, and the reason could be initial design error, poor fabrication process or bad insulation material. Thus, to add layer short test in the electrical safety test manufacturing process can complete the scanning test for multiple windings at once to increase the quality of wound components. Combining the layer shor t testing function, the 19036 has 6kV impulse voltage with area, differential area, Flutter and Laplacian judgments to supply effective measures for inspecting poor coil insulation. The 19036 is equipped with a patented 4-wire DC resistance test that has both Drive and Sense in compliance with withstanding specification to provide 10 channels of 4-wire DC resistance test functions. Up to 40ch of scanning test can be conducted when the 19036 is configured with 16ch scan boxs. The 19036 also has HSCC functions to scan multiple windings rapidly for normal connection. It can solve the test fail problems caused by bad contact of cabling or test fixture. 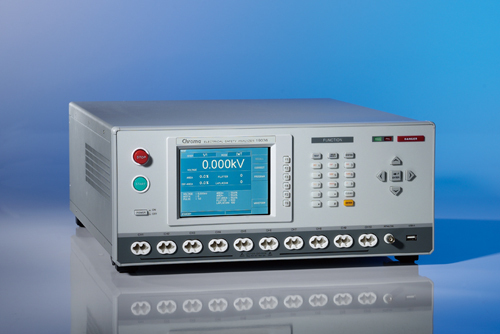 The motor standard such as UL 1004-1 requires high power safety tester. Chroma 19036 with the capability of outputting & measuring AC100mA/DC 20mA is suitable for testing large leakage current or big electrical safety equipment. Chroma 19036 as a comprehensive tester integrated with high power hipot test and other safety tests can bring the maximum benefit to the production line as well as to quality assurance. Its 500VA design is also compliant with the output power requirements of EC/UL. 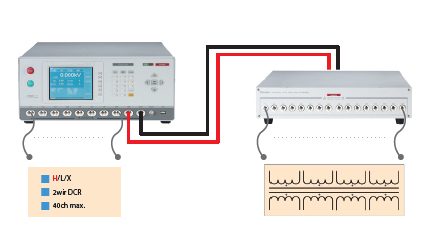 Use Laplancian for calculation can detect the waveform discontinuity caused by electrical discharge effectively. 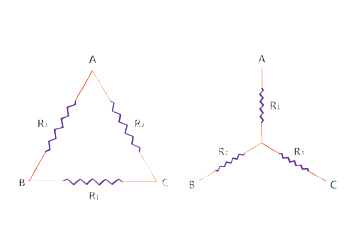 To solve the problem of unable to do DCR measurement on the Δ-type and Y-type motor winding (no center-tapped) directly, Chroma 19036 has added Δ-type and Y-type motor winding DCR calculation functions to obtain the value of R1, R2 and R3. A190359/A190362(4-wire) scanner has 16 test channels and each of them can be set to H (High voltage, Hi), L (High voltage, Lo) or X (Open). The combination of 19036 and A190359/A190362(4-wire) can apply to multiple PINs or small amount but diversified DUTs as well as cell type production line to complete all tests within one station. ©1999-2014 - Barletta Apparecchi Scientifici Srl - Via Prestinari 2 - 20158 Milano Italy - All rights reserved. All trademarks are owned by the respective companies or Barletta Apparecchi Scientifici Srl.